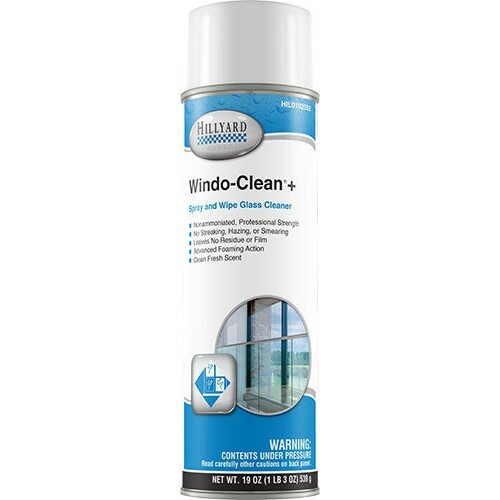 Windo Clean Plus is a cleaner for use on a multitude of surfaces not damaged by water. It cleans glass, mirrors, CRT screens, TV screens, office equipment, Plexiglas, chrome, enamel, porcelain, counters, tabletops, vinyl upholstery, and more. It is an excellent general cleaner for almost any general cleaning problem. Windo Clean Plus dissolves grease, oil, fingerprints, smudges, and soils without streaking or spotting. Surfaces are left bright, clean, and clear. It helps restore the natural shine of the surface without dulling. Case Specs: Twelve 19 oz. cans per case, sold as one 19 oz. can.